Just a quick post today to let you all know about the yearly BOGO sale that Little Circles is having for its Culture Pop paper! Today is the last day, so check it out!! If you don’t know, Erin Curet from Little Circles has her own line of quilling paper. 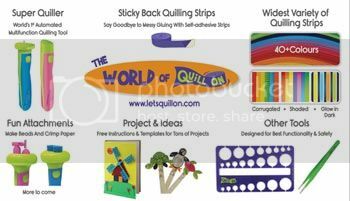 It has quickly become a popular quilling paper partly because of the awesome selection of colors available! Erin is an amazing quilling artist herself, so she knows her paper! This isn’t a sponsored post and Erin hasn’t asked me to share this. I just love her papers and wanted to share the news in case you haven’t seen the sale news yet. One thing I love about Culture Pop paper is that it comes in a lot of shades that match. For example, I made these earrings from Culture Pop paper. So many lovely shades from light blue to dark aqua that look fabulous together! Click here for more photos and instructions for these earrings. So far I’ve only made one order from Culture Pop, but I’m looking forward to another order and have my eyes set on some of the new colors! Click here to see my first order from Culture Pop. While you’re ordering I’d definitely recommend picking up her bamboo quilling forms. They are great! I used them to make the above earrings. 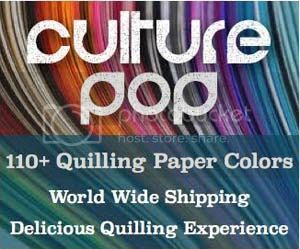 Have you tried Culture Pop paper yet? Stay tuned for a new tutorial coming in a few days.